This amazing Vietnam package tour has all the tops of Vietnam attractions – Old historic Hanoi, easy adventure to the Kingdom of fascinating scenenry - Sapa, luxury Halong bay cruises around spectacular Bay and sampan through charming countrysides. 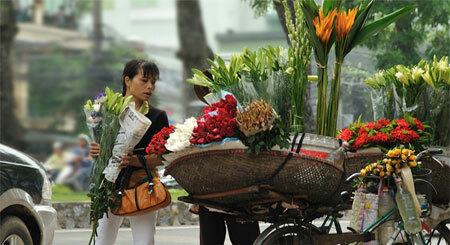 Limited offers for the best of Vietnam package tours. Trip name: Best Of Vietnam. Length of the trip: 8 days and 7 nights. Enjoy sightseeing Hanoi tours to the top attractions of charming thousand year old capital: first, HoChiMinh Mausoleum and One Pillar Pagoda with unique buddhism architecture. Then, Temple of Literature(First University built in the 11 Century) and old Hanoi Hilton hotel. On arrival in Laocai at 05:00 am, drive uphill to Sapa. About 1,600 meters higher than the sea level, Sapa is the former natural Kingdom for French administrators' vacations. Amazing Sapa is the spirit of all Vietnam holiday packages. The colourful lands of 7 ethnic minorities in simple lifestyle and their very basic conditions of living will enrich your lifetime travel experience. After breakfast, see local market and Sapa town where the ethnic people are frequently seen. It is so nice to chat with them and see their local textiles and handicraft along the street. Visit Ham rong flower garden. Trek to the top for the paradomic view of the whole Sapa town. Back to your hotel to check out. Pick up at the station at 05:00. Drive to Hoan Kiem lake to see morning Taichi and other morning exercise. Transfer you to Halong Bay through the scenic countryside. 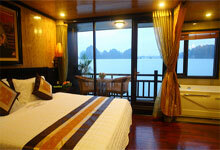 Check in one of luxury Halong bay cruises. Add unique experience on amazing Vietnam package tour to your life travel collection. If not fully satisfied with the trip, you will have money back. Limited offers. Note: The price is applied until 30th Sep 2010. Many tourists chose this Vietnam package tour with 3 day Halong bay tour, the best of all Vietnam tours. If you want, please contact Sale person.